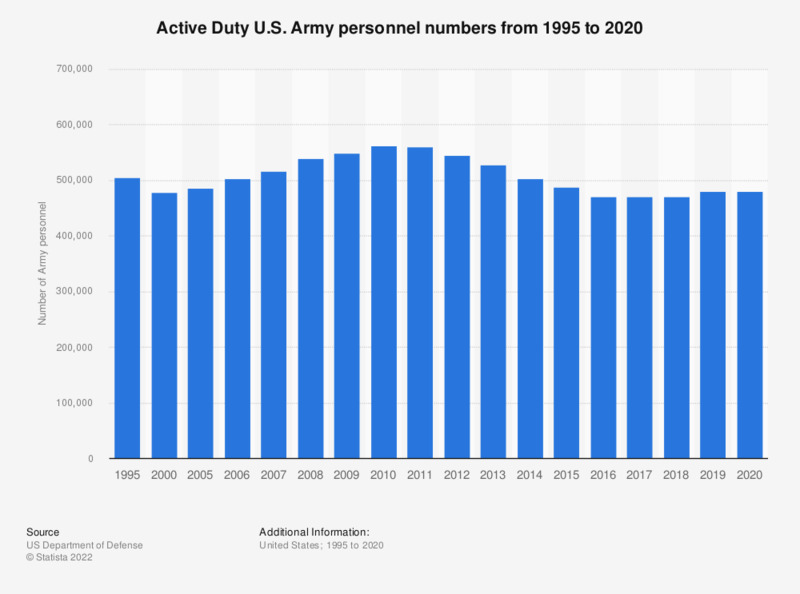 This graph shows the number of active duty U.S. Army personnel from 1995 to 2017. In 2017, there were 472,047 active duty U.S. Army members, as compared to 479,026 in 2000. Do you think that the U.S. military will hold an absolute dominant position in the world in 20 years or that it will be just one of many powers? Do you think it will come to further global combat missions by the U.S. military in the next 20 years or rather not? Should there be tougher economic sanctions imposed on Iran?